Hosted by CAA-affiliated society Society of Architectural Historians (SAH), SAH Archipedia is an online encyclopedia of US architecture and landscapes that contains peer-reviewed essays, photos, and maps. Since its launch in 2012, SAH Archipedia has grown in scope and the full version now contains nearly 20,000 building histories covering all 50 US states. Currently, entries for over 3,700 structures are available to the public through the site’s open access counterpart, SAH Archipedia Classic Buildings. SAH recently announced that SAH Archipedia will be made open access in 2019. 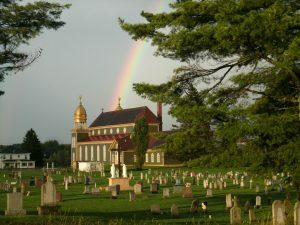 Help SAH in this effort by donating before August 31 to secure their NEH matching grant. Alison C. Fleming reads Federico Barocci and the Oratorians: Corporate Patronage and Style in the Counter-Reformation by Ian F. Verstegen. The book “efficiently tackles the subject” of “the interior decoration of the Chiesa Nuova in Rome,” with a focus on Federico Barocci “and how his style corresponded so well to the tenets of the Oratorians that they repeatedly sought his paintings.” Read the full review at caa.reviews. Claudia Swan reviews Benjamin Schmidt’s Inventing Exoticism: Geography, Globalism, and Europe’s Early Modern World. Merging historical and art-historical elements, this “formidable study” examines artworks and luxury goods “produced in Dutch ateliers between 1670 and 1730 under the rubric of ‘exotic geography,’” which the author views as “a new rhetorical and artistic mode.” Read the full review at caa.reviews. Carol Damian discusses two books centered on the questions of what is a Latino and what is Latino art: Thirteen Way of Looking at Latino Art, by Ilan Stavans and Jorge J. E. Gracia, and Our America: The Latino Presence in American Art, an exhibition catalogue from the Smithsonian American Art Museum. Both books evidence how “the entire Latino issue is a construct, complicated, and imperfect” and “make valuable contributions to this ongoing discussion.” Read the full review at caa.reviews. caa.reviews has published the authors and titles of doctoral dissertations in art history and visual studies—both completed and in progress—from American and Canadian institutions for calendar year 2015. You may browse by listing date or by subject matter. Each entry identifies the student’s name, dissertation title, school, and advisor. Once a year, each institution granting the PhD in art history and/or visual studies submits dissertation titles to CAA for publication. The Association of Research Institutes in Art History (ARIAH), a consortium of museums and research centers based in North America or affiliated with North American institutions, has established a new program that will strengthen intellectual connections among art-history disciplines in different regions of the world. With generous support from the Andrew W. Mellon Foundation, the Getty Foundation, and the Terra Foundation for American Art, ARIAH’s East Asia Fellowship Program will enable twelve scholars from countries in East Asia to conduct research at ARIAH member institutes on any topic in the visual arts. The project is funded for a three-year period, beginning in 2016, with four fellowships offered each year. The East Asia Fellowship Program is open to scholars of art history from Japan, Mongolia, the People’s Republic of China (including Hong Kong and Macau), Taiwan, and South Korea. Each fellow will be hosted by an ARIAH member institute and have the opportunity to travel to other research centers during the three- to four-month fellowship period. Fellowships will be awarded through an open, competitive application process. 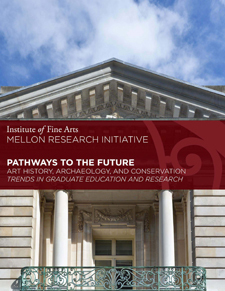 One fellowship per year, supported specifically by the Terra Foundation, will focus on research topics related to the art of the United States before 1980. Topics for all other fellowships will be open, as long as they can be supported by research on the collections of the host institute. The deadline for the first of three rounds of fellowships is December 31, 2015. The East Asia Fellowship Program grew out of a successful project that ARIAH designed in the late 1990s which brought art historians from Mexico, Central and South America, and the Caribbean to ARIAH member institutes. 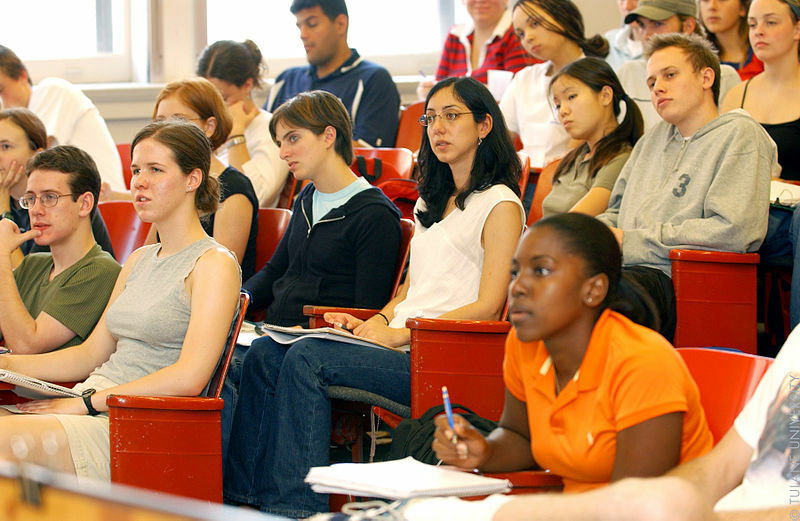 The Latin American program was part of larger process that yielded longer-term results and fostered increased collaboration and intellectual exchange among academic disciplines in Latin American countries. ARIAH conceived of and developed the new program to encourage a similar intellectual, cross-cultural exchange between scholars and to establish lasting professional connections. The fellows will work side by side with curators, librarians, and fellows from other areas of research. Among the twenty-seven member organizations of ARIAH are the Metropolitan Museum of Art and the Getty Research Institute. The largest concentration of members can be found in the Smithsonian museums in the Washington, DC, area. caa.reviews recently published the authors and titles of doctoral dissertations in art history and visual studies—both completed and in progress—from American and Canadian institutions for calendar year 2014. You may browse by listing date or by subject matter. Each entry identifies the student’s name, dissertation title, school, and advisor. Each institution granting the PhD in art history and/or visual studies submits dissertation titles once a year to CAA for publication. The caa.reviews list also includes dissertations completed and in progress between 2002 and 2013, making basic information about their topics available through web searches. 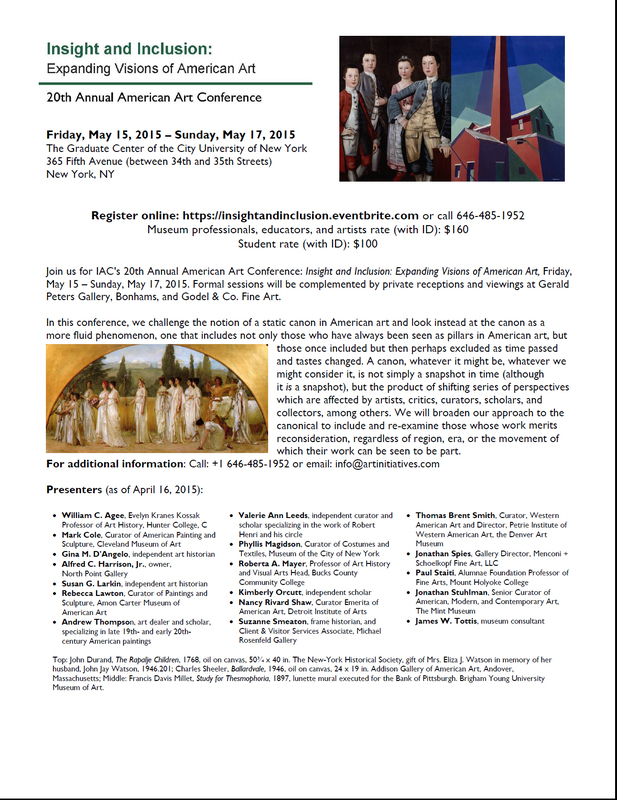 Initiatives in Art and Culture will present “Insight and Inclusion: Expanding Visions of American Art,” a conference on American art to be held May 15–17, 2015, at the Graduate Center, City University of New York.